The advent of facebook live has brought the spree on committing suicides as people now live stream their own death. Facebook has decided to take a measure against the suicides happening on facebook with an A.I which can detect when someone is making a suicidal statements. 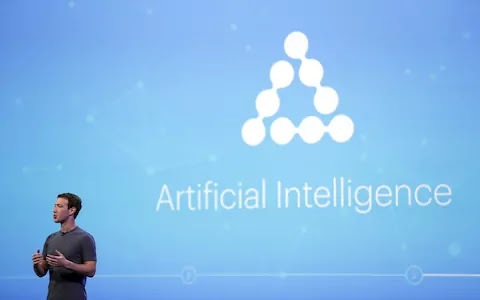 Facebook CEO mark zucky revealed that the A.I will be implemented today in an upgrade in facebook Artificial intelligence bot. He said the bot can prefer a solution to someone who is makiing suicidal speeches on facebook but he did not say how the AI is going to operate. Read what he wrote. Here’s a good use of AI: helping prevent suicide. Starting today we’re upgrading our AI tools to identify when someone is expressing thoughts about suicide on Facebook so we can help get them the support they need quickly. In the last month alone, these AI tools have helped us connect with first responders quickly more than 100 times. With all the fear about how AI may be harmful in the future, it’s good to remind ourselves how AI is actually helping save people’s lives today. There’s a lot more we can do to improve this further. Today, these AI tools mostly use pattern recognition to identify signals — like comments asking if someone is okay — and then quickly report them to our teams working 24/7 around the world to get people help within minutes. In the future, AI will be able to understand more of the subtle nuances of language, and will be able to identify different issues beyond suicide as well, including quickly spotting more kinds of bullying and hate. Suicide is one of the leading causes of death for young people, and this is a new approach to prevention. We’re going to keep working closely with our partners at Save.org, National Suicide Prevention Lifeline ‘1-800-273-TALK (8255)’, Forefront Suicide Prevent, and with first responders to keep improving. If we can use AI to help people be there for their family and friends, that’s an important and positive step forward.